IoT Ready- The world of the internet is progressively integrating with the world of physical things. 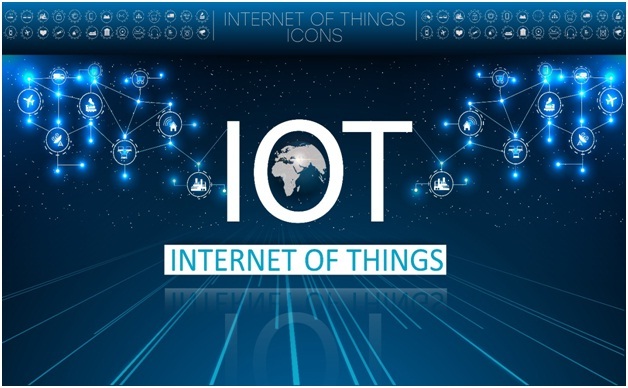 Because of this merger, the Internet of Things (IoT) has arisen; a giant global network is connecting all web-enabled products, including people. From your refrigerator and automobile to the cosmonaut circling the earth, our virtual world will connect billions of smart devices. This will create an ecosystem where these things will have the capability to sense, interact and communicate with each other and influence actions without human involvement. This graph shows the number of IoT devices that will be available by 2020. Now with this increase in a number of devices, the amount of data produced will also upsurge. The increase in data will also give an opportunity to businesses in utilising that data to know their customers better. This also means that all data centers need to prepare themselves for the increase in data, not just in terms of storage but in other aspects as well. Why Do Data Centers Need to Be Ready for IoT? Businesses are shifting their operational models to compete in a world where everything is connected and constant. To tether to this change they need fast data transmission and storage space. Co-location data centers can help these companies compete by providing them quick, scalable and efficient services. Plus, co-location data centers offer geographically distributed data centers to enterprises who need proximity to their end-users and IoT devices. However, the provider of data center co-location services will also need to be ready to the boom in data that IoT will bring with itself. The data of the Internet of Things can come from personal devices, everyday products and large enterprises. The combination of data from these sources can lead to astronomical growth in the quantity of data that will have to be stored in a data center. Statistics suggest that every day more than 2.5 quintillion bytes of data is being created and processed and it will likely rise in the next year. Though data centers have some amount of scalability is always planned for, they will have to plan better for this situation. With an increase in the quantity of data, the security measures to protect that data in the data centers also need to be strengthened accordingly. The numerous devices used to access data by the clients will also add to the concerns about breach of privacy. These devices may be a small phone, tablet or even a laptop. Moreover, with the introduction of Personal Data Protection Bill or PDPB bill, it has become imperative for data centers to improve their security measures. Most of the co-location data centers come well equipped for bandwidth necessities for access to the data. However, with IoT, the number of connections and the speed of access would both have to undertake substantial improvements. The growing number of devices will also need carrier neutral and carrier dense data centers to reduce costs and increase reliability as well as flexibility of the operations.